It’s ALMOST here!!! I hope you are all going to be able to make it to this years March, less than a week away!!! January 19th is the day and it starts at 12 noon. 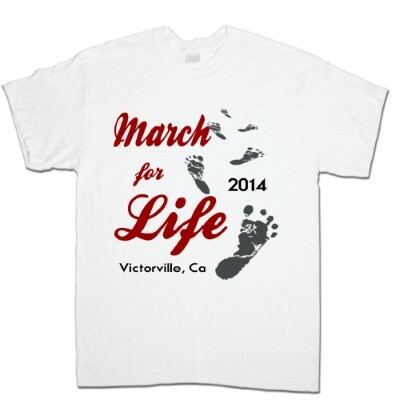 The location is to be East Park Ave. and Anacapa St. in Victorville, Ca. Posting this March for life information to my Facebook page to help get the word out. I hope to see you there.